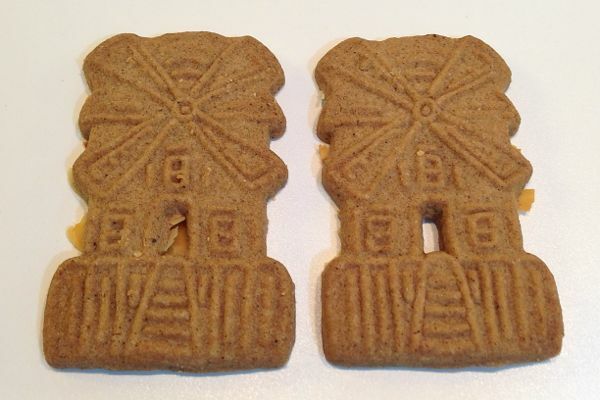 Traditionally, speculoos are decorated with windmills, animals or traditionally-dressed characters. 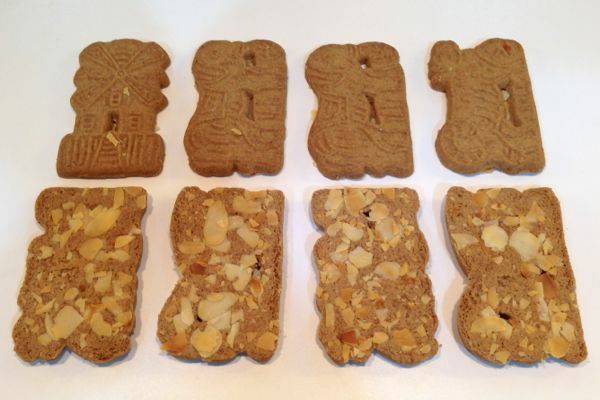 The almond speculoos have flaked almonds baked onto the back side of each biscuit. Speculoos are now eaten all year round and you may be more familiar with them in the form of Lotus Caramelised Biscuits. We like Lotus biscuits (which are vegan too), but the sight of the windmills will always mean Christmas is coming. 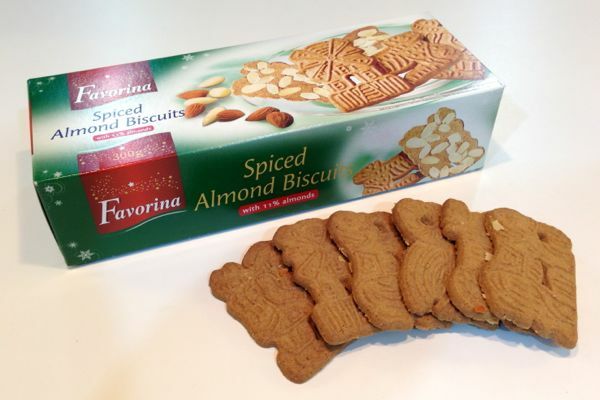 These Favorina brand speculoos at Lidl are typical of shop-bought fare and are pretty good. They're available in the seasonal aisle at Lidl in small or large packs. We're trying to find some vegan lebkuchen. The ingredients are often different between the small and large sizes in the same store...so always check both! Lidl's dark chocolate covered gingerbread biscuits and domino cubes are no longer vegan either. At least the speculoos, raspberry barrels and pineapple marzipan are all still vegan. Drat. 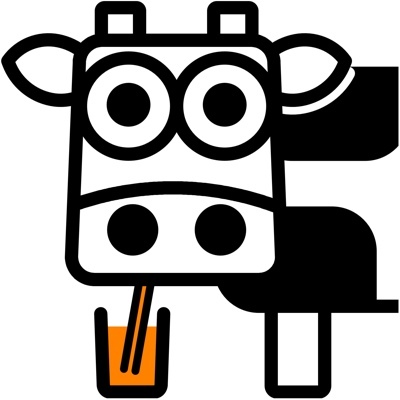 We'll be gutted if it's true about the domino cubes...it was the same last year, after them being vegan for years before that. 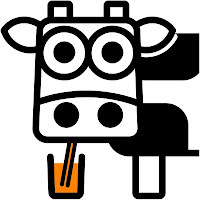 Lactose was the offending substance last year. We did find some vegan ones though at a German christmas market... so there's hope yet.